This exclusive style features a 14mm rubber sole topped with a thin layer of premium polyester for comfort and a long lasting imprint. It also offers the option of Full Color printing. 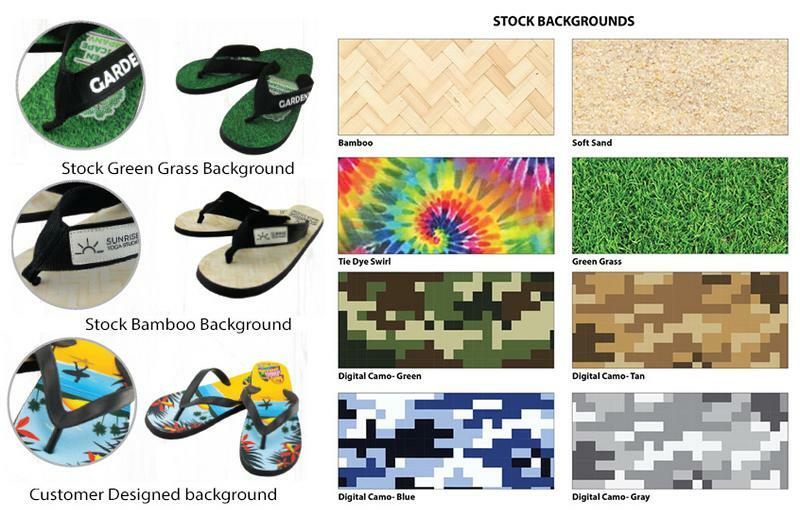 Print 1, 2, 3 or full color insole for the same price. L106R shown with 1 color imprint on the strap & 2 color bleed imprint on the insole. Full Color Insole included in pricing. Make your own custom insole color or use stock background for only $45.00 !!! 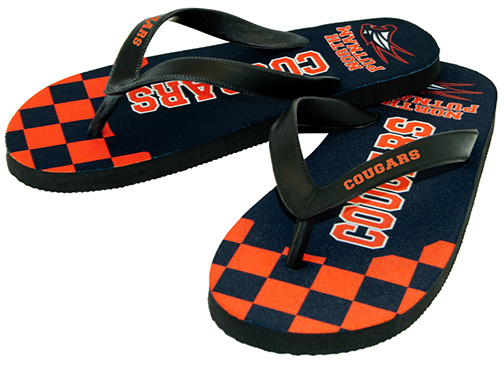 Additional Strap Imprint: $45 per color, plus run charge: $.70 per pair. 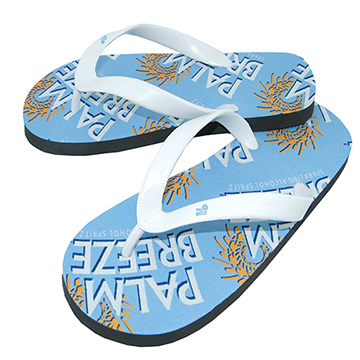 Imprint Area: .325" x 3" on Strap, Full Insole, see template. Inquiry / Sample Request Form: Fill out our form to get information or a sample.